The project Ermitage is from the Parisian architecture firm Septembre. 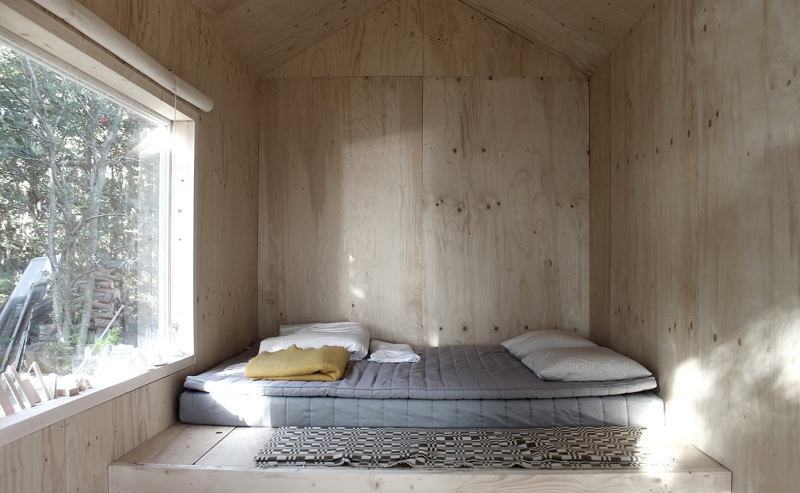 I really like the simple shapes and the bare plywood interior. I might add a thin white wash to the walls. Something to keep them fresh through time. Add a tiny kitchen and bathroom to this design and you might be able to live in it full time. Bravo! More pictures at the first url.